Adding free phone 0800 or 0508 numbers to your business can help remove the barrier of call costs from impacting on your client inquiries. You can choose to use this service in conjunction with a Dynamite IT phone plan, or run it completely separately and retain your existing telephone provider. We offer some of the best priced free phone number plans in New Zealand. With a minimum monthly charge of $15 and incoming calls from 6c a minute, getting the best 0800 number for your business has never been so cost-effective and easy. With a New Zealand free phone number, potential clients no longer need to pay to call you from a landline or mobile, making it that much easier for them to contact you over your competitors. Making it free to call your 0800 number from a mobile could be the difference between a potential client call your or a competitor. As competition levels increase for businesses around New Zealand, make the decision today to remove this barrier from clients contacting your business. What is the cost of New Zealand 0508 or 0800 Numbers? People often ask us what it costs to have an 0800 number. We are one of the cheapest 0800 number providers in Wellington and around New Zealand. Calling rates vary depending on if you want your free phone number diverted to a landline or to a mobile phone, but prices start as low as 6c per minute. Because the monthly line charge is used for the first $15 of calls, this makes the line rental for your business 0800 number free once you have received $15 worth of inbound phone calls! If you are looking for a cost-effective toll-free phone number for your business, it doesn’t get much better than this! How does the monthly pricing work? Is there a minimum contract term for a toll-free number? No, there is no minimum contract term, simply give us 30 days notice if you want to cancel or transfer your 0800 or 0508 number. It is that simple! 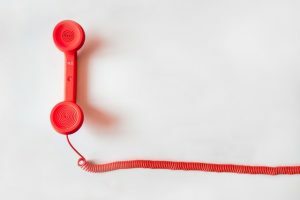 Can I transfer my existing 0508 or 0800 toll-free phone number? Yes, you can! We can transfer from other 0800 number providers such as Spark or Vodafone with ease. We will take the hassle out of getting an 0800 number so that you can focus on more important things. Simply complete the form below and the friendly team at Dynamite IT will contact you to discuss the transfer process. If you would like to find out if your NZ 0508 or 0800 number is available contact the Dynamite IT team below. We can also reduce your outbound call costs with a VoIP phone system for your business. We can tailor a phone line package to suit your business needs. Contact the local Upper Hutt team for additional information.